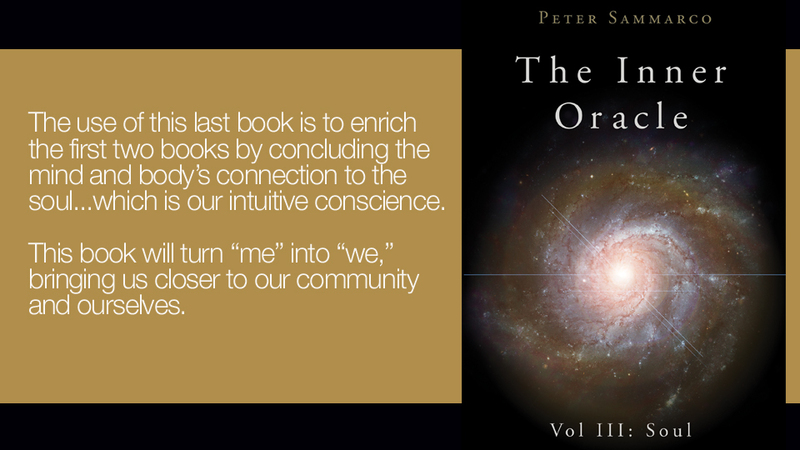 Peter Sammarco knows this: we are one, and capable of doing everything and anything. It is from this knowing, and from his own personal odyssey, that he shares the secrets that need to be awakened within us all. Whether in his writing, or through his service with Canpeace Consultants Inc., Peter delivers practical help for growing true success in daily life. Peter has learned from his experiences that we all have many things in common. We all want to be healthy, happy, prosperous and wise. "Let us do it together!" says Peter. It is in knowing who we are that we find peace. And most importantly it is in loving ourselves that we are truly rich.